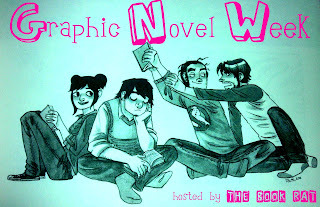 The Book Rat: Graphic Novel Week: Favorites vlog! Noo... my basket from TBD is going to be so full now. I have only read a few graphic novels before so I need to explore the genre. Love this list! I've always been attracted to graphic novels, but I have only read a couple (none of these though, yet!). I read Fun Home for a class http://www.goodreads.com/book/show/38990.Fun_Home and loved it. Anyway, great post. :) I'm adding more than half of these to my TBR list!